Sandwiched between The Patissier and Chikuwa Tei, Table at 7 does not stand out from its shopfront as compared to its more-famous neighbours. 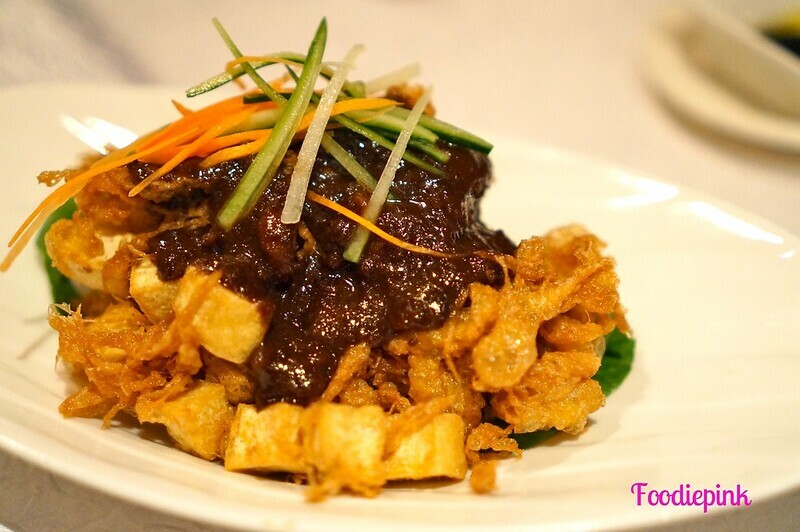 I’ve heard about this restaurant from my sister, who was raving about their Indonesian dishes. 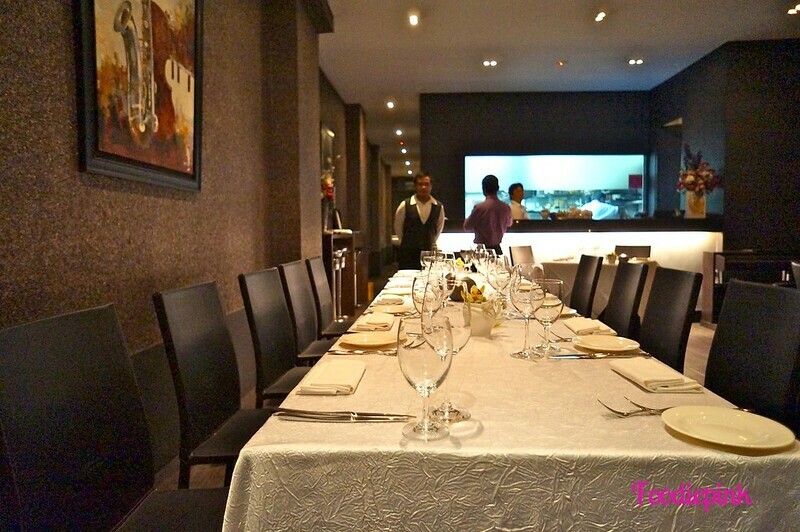 Unlike fusion restaurants, Table at 7 utilises a two-prong approach. The husband (Karl) and wife (Eugenia) behind this restaurant specialise in Western and Indonesian respectively. Instead of combining both specialties, they did it the smarter way – providing diners with separate menus, one for Western food and the other for Indonesian. 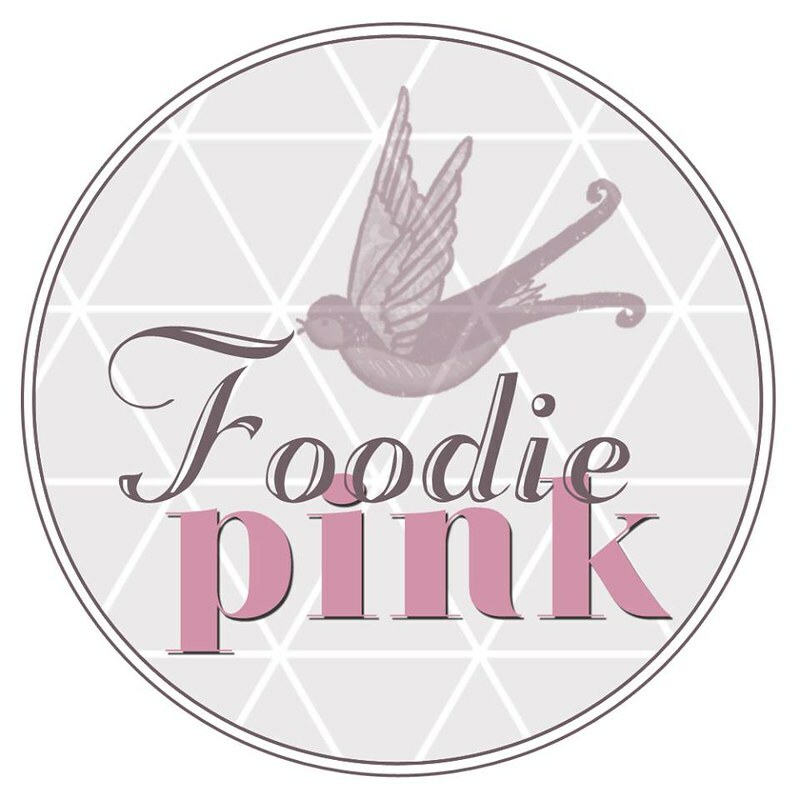 In this way, the power duo is able to go further in creating authentic dishes, which in turn cater for a larger audience. [Eugenia’s Entree] Tahu Telur [Crispy, fluffy tofu omelette served w sweet & spicy peanut dressing, bean sprouts, carrots, cucumber & crackers] ($15) – This is the best I’ve had. The batter is so light and it floats around in the mouth from its light weight. It’s not overly oily, which takes away the undesirable smell of oil you get elsewhere. A must-order here! 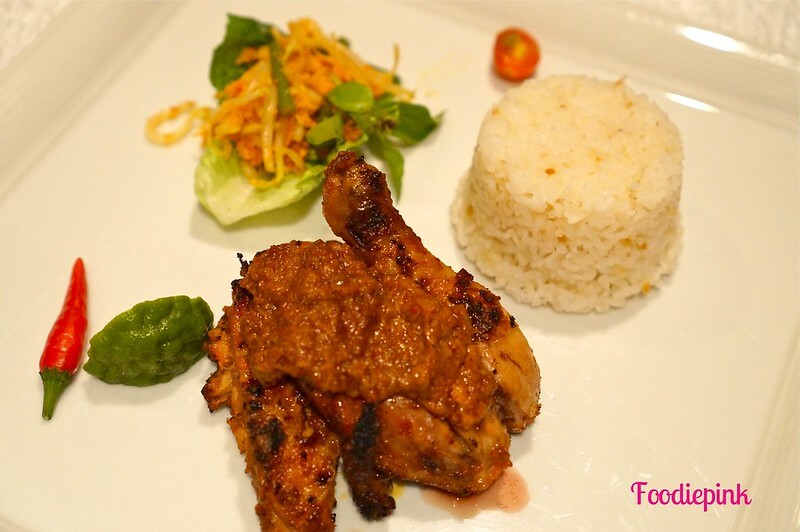 [Eugenia’s Mains] Chargrilled Yellow French Baby Chicken (Ayam Panggang Kecap), w Salad of Lalapan, Kaffir Lime & Steamed Jasmine Rice ($30) – We switched the steamed jasmine rice for garlic rice which turned out to be a little underwhelming. It doesn’t matter at all though, ‘cos the chicken was so flavourful, it spiced up the entire dish. Using baby chicken, the meat was tender as it could get. Not too sure as to how the chicken was char-grilled but it certainly retained a nice hint of smokey flavour with bits charred and crunchy. It was exceptional. 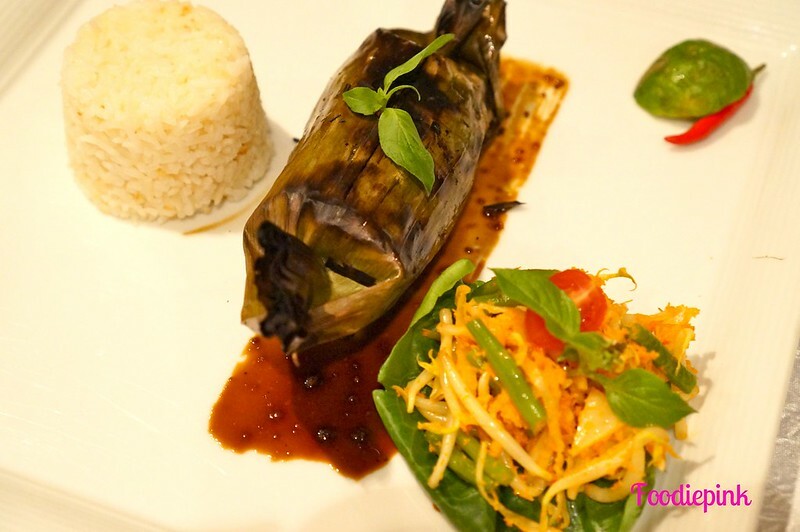 [Eugenia’s Mains] Pepes Style Black Cod, Chargrilled in Banana Leaf w Salad of Lalapan, Garlic Rice ($32) – Love spicy food? This is one appetising dish for you. The chilli sauce (assam belachan I reckon?) was optimally spicy and sizzle up the flavours of the fish. 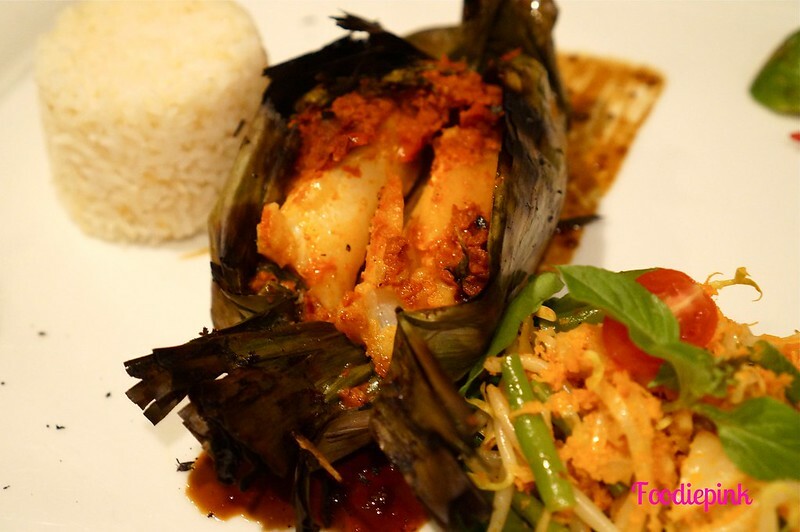 With the use of black cod, this isn’t your usual banana-leaf wrapped fish! To some, it may be a waste to combine the strong taste of chilli sauce with the premium fish but I feel that they go extremely well together. You never know till you try it! 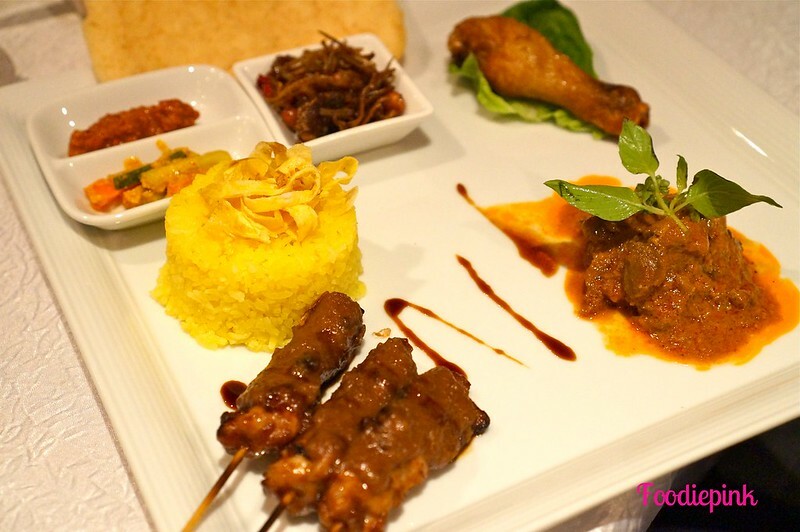 [Eugenia’s Mains] Authentic Indonesian Yellow Rice Platter of Beef Shin Rendang, Crispy Fried Chicken, Anchovy, Chicken Satay & Acar ($34) – The yellow rice fared the best as compared to garlic rice. 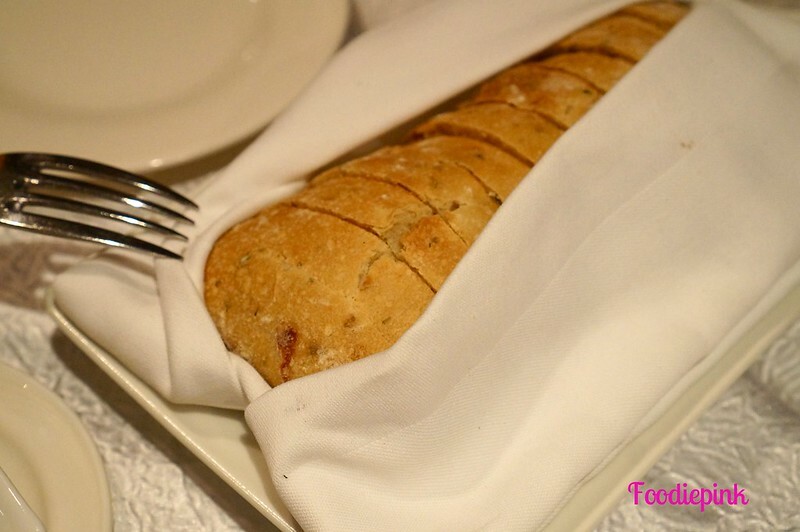 With 3 different types of cooking styles for the meat, this will satisfy any meat-lover at the table. Again, each component was meticulously prepared. Thumbs up! 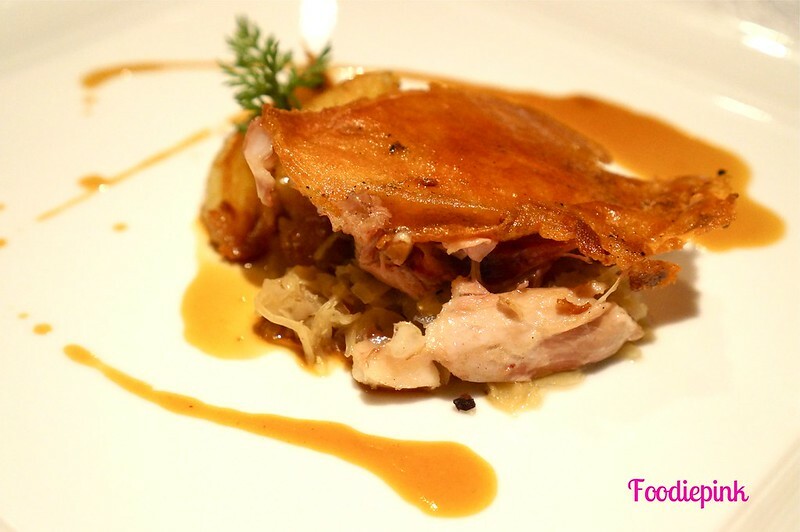 [Karl’s Mains] Crispy Slow-cooked Suckling Pig with Smoked Bacon Sauerkraut, Rosemary Potatoes and Star Anise Jus ($36) – Thank goodness one of the dishes that I ordered ran out and I chose this as my second choice. Hands down, the best of the best in the suckling pig category. The skin was so, so, so thin and so, so, so crispy and fragrant that it felt like a crime to be tasting something so perfect. The meat was tender too. A pleasant surprise here. 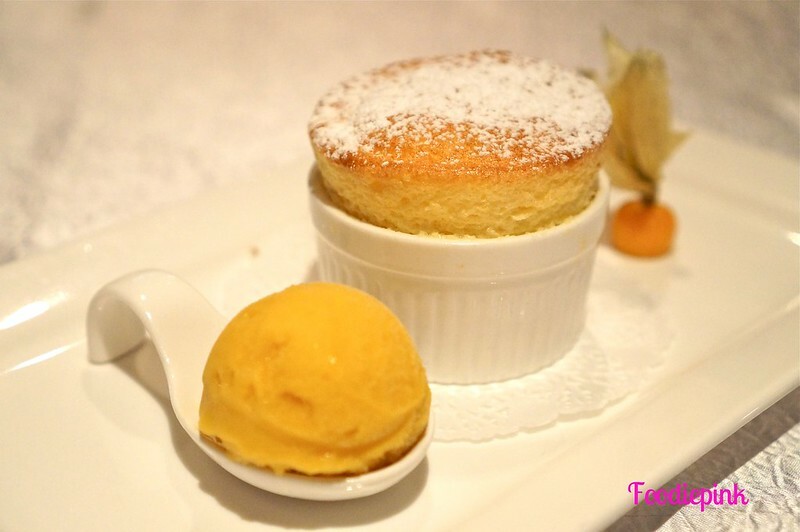 Grand Marnier Orange Souffle w Mango Sobert ($16) – Perfectly lifted, the souffle had a luxurious texture to it, which was further laced with Grand Marnier. It simple melts in your mouth with the homemade mango sobert. 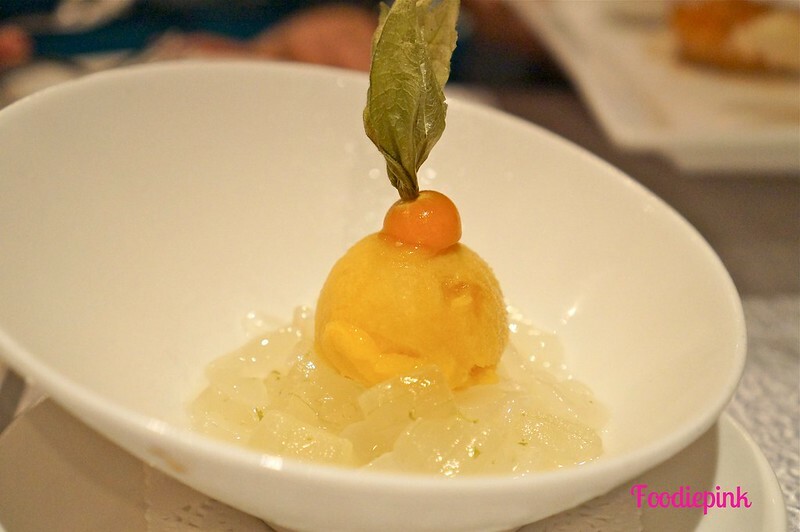 Fresh Sea Coconut in Pandan Syrup w Fresh Mango Sobert ($13) – A refreshing dessert, the sea coconut was chewy and crunchy at the same time – similar to aloe vera. Oh actually, there were aloe vera bits in them too! The hint of pandan flavour was slight but just enough to draw you to your next spoonful to savour it further. Loved how it’s not too sweet too! 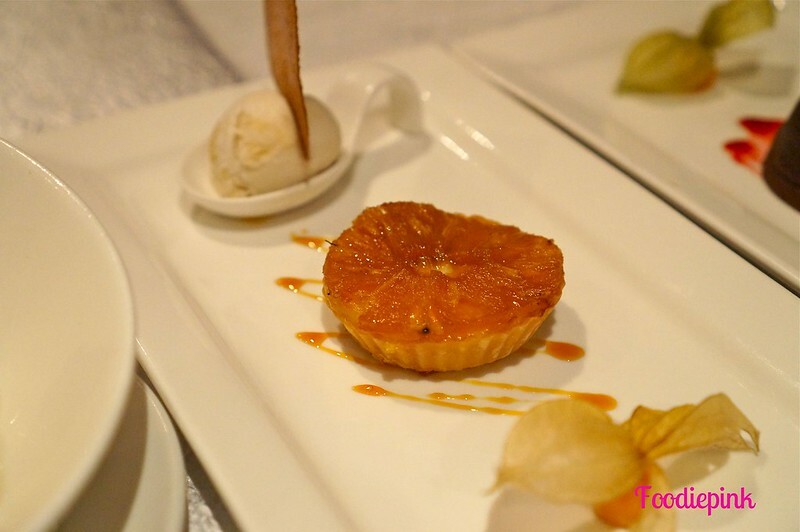 Roasted Glaze Honey Pineapple Tartlet with Coconut and Gula Jawa Ice Cream, Coconut Tuile ($15) – I was more intrigued by the coconut ice cream side with the tastiest coconut tuile than the tartlet itself. The tartlet itself was tasty but the fact that I’m not a huge fan of pineapple, it doesn’t render me to order it again. 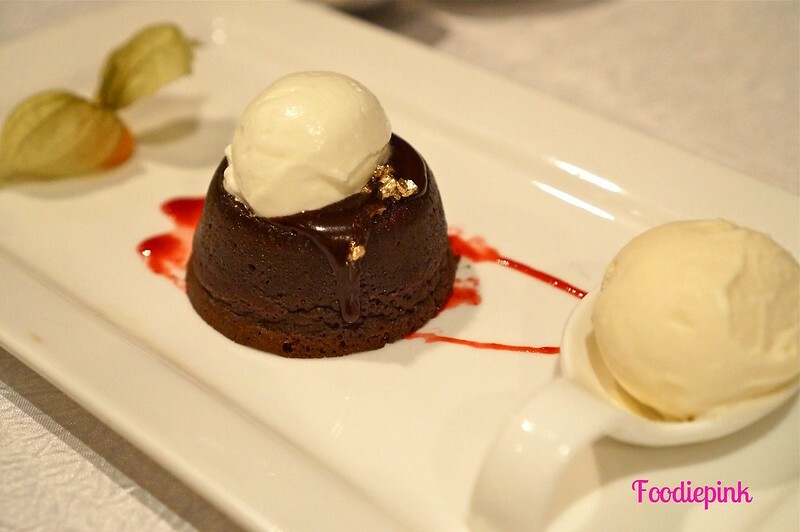 Soft Centre Valrhona Chocolate Cake, Dark Rum and Chocolate Glaze, Vanilla Bean Ice Cream, Frangelico Cream ($16) – This is a dark one. Chocolate and rum is the most lethal combination and I’ve finally found a chocolate lava cake with the incorporation of rum! Simply blew me away, this one!